Tesco is encouraging people in Cardiff to support Cancer Research UK’s Race for Life by popping to their local Tesco store to see it ‘turn pink’ on Friday 5th and Saturday 6th April. 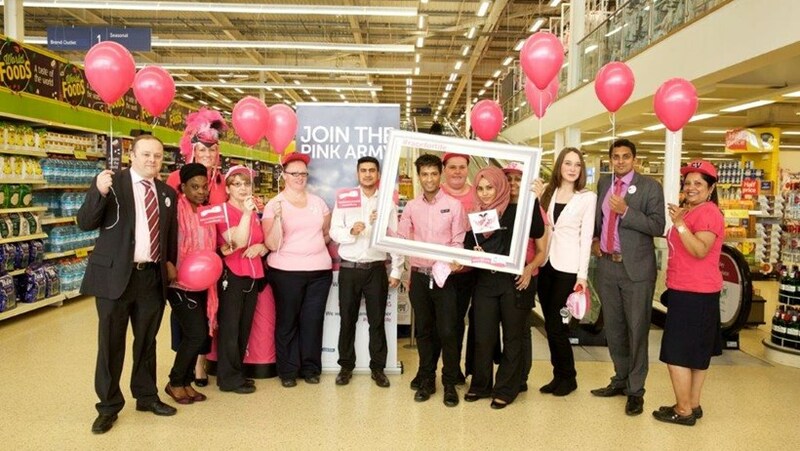 The nationwide ‘Tesco Turns Pink’ weekend will see thousands of Tesco colleagues unite across the UK to raise vital funds to help beat cancer. Tesco colleagues across the Cardiff stores are set to embark on a variety of fun fundraising activities in-store over the Friday and Saturday. Visitors will also have the opportunity to find out more about joining their local Race for Life events including the Pretty Muddy Kids, 5k and 10k taking place on Saturday 6 July and the Race for Life 5k and 10k which takes place on Sunday 7th July, with all events at Coopers Field – Bute Park, Cardiff. There will also be a chance for customers to bag a limited number of free entry places to their local Race for Life event. Sarah Pickersgill, Head of Events Marketing for Cancer Research UK, added: “We are very grateful for the support of the Tesco team in Cardiff and we wish them every success for their Tesco Turns Pink weekend. By joining the Race for Life, everyone can make a real difference to people with cancer, right now. Cancer Research UK supports research to fight 200 types of cancer, and more people are surviving the disease than ever before. Also, cancer survival in the UK has double since the early 1970s, according to Cancer Research UK. If people in Cardiff want to take part in a Race for Life event, they can register now via raceforlife.org or call 0300 123 0770.